Passover, Then and Now … Life or Death! 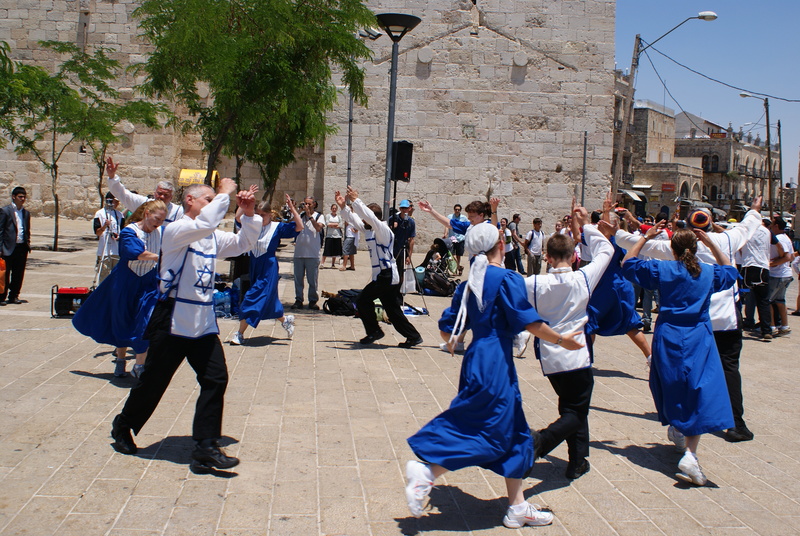 Earlier this week, from sundown on Monday to sundown on Tuesday, Israel and Jews the world over celebrated Passover which is considered the greatest of all the Jewish Festivals. The Feast of Unleavened Bread, a seven-day extension of Pesach (Passover), will end this coming Tuesday. Passover was not only the first God-ordained Festival, it also heralded the renewal of God’s national destiny for Israel and Abraham’s descendants. Passover is Israel and Israel is Passover. The two are inseparable. Before Passover, the Jews were a people but not a nation. They had lost their identity; they had no land of their own and little hope for a future. When God spared his people from judgment on the entire land of Egypt and by mighty miracles delivered them from 400 years of slavery, the nation of Israel was born. That was nearly 3,500 years ago. Two thousand years ago, a Passover of even greater (eternal) significance took place. A Passover that most of Israel missed because they could not see who Messiah would be and what he came to do. “Today I have given you the choice between life and death, between blessings and curses. Now I call on heaven and earth to witness the choice you make. Oh, that you would choose life, so that you and your descendants might live! You can make this choice by loving the Lord your God, obeying him, and committing yourself firmly to him. This is the key to your life. 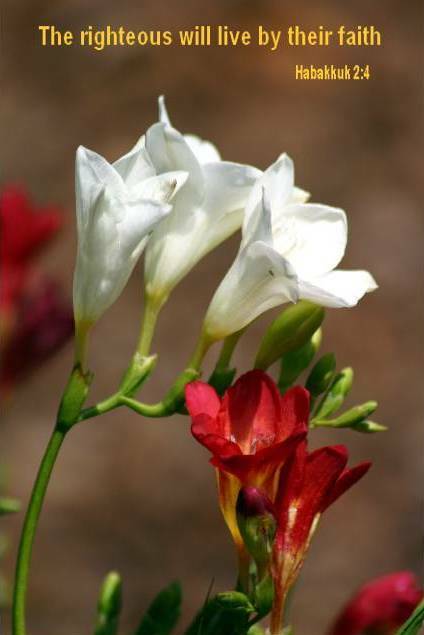 And if you love and obey the Lord, you will live long in the land the Lord swore to give your ancestors Abraham, Isaac, and Jacob” (Deuteronomy 30:15-20). “The Lord said to Moses, ‘…After you are gone, these people will begin to worship foreign gods, the gods of the land where they are going. They will abandon me and break my covenant that I have made with them. Then my anger will blaze forth against them. I will abandon them…’” (Deuteronomy 31:16-17). Just a few decades after Moses, then Joshua died, that’s exactly what the Jews began to do. Yet God was patient with them. Off and on for some three hundred years the Lord delivered them (through judges) from surrounding enemies that God had allowed to defeat the Jews when they rebelled against him. Then for a period of 120 years (1050 BC – 930 BC) during the reign of Israel’s first three kings—Saul, David, and Solomon, each of whom ruled for 40 years—Israel prospered like never before or since, especially during the 80 years of King David and King Solomon. 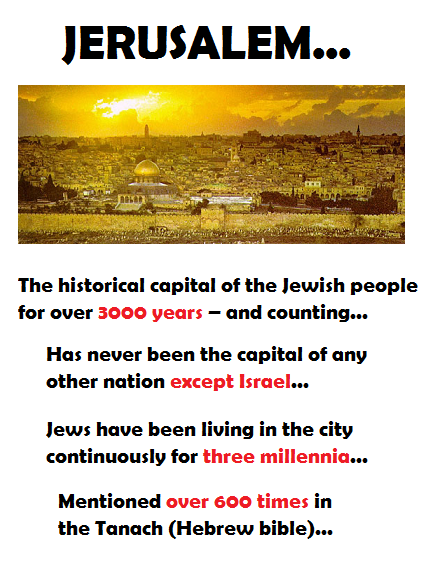 In those glory days, Jerusalem was established as the eternal capital of Israel. That fact will never change … God will see to it. Israel’s downfall began when Solomon, during the latter part of his reign, allowed his wives to set up and worship pagan gods. Upon his death, Israel split into two kingdoms and she was never the same after that. Slowly, surely, and sadly not only the people but the kings and even the priests of Israel and Judah began to abandon the Lord their God. The ten tribes of the northern kingdom of Israel fell in 722 BC to Assyria. Because there were a few kings of Judah (the southern kingdom) who restored worship of and devotion to the Lord, they were spared the same fate of the northern kingdom for another 136 years. Just prior to the Babylonian captivity, Jeremiah was the primary prophet. He issued warning after warning for the people to turn back to the Lord; including the inevitable fall of Judah, destruction of the Temple, and exile to Babylon if they didn’t heed these warnings. Still, the Lord was merciful and set the length of their captivity at 70 years. Once again God was absolutely true to his Word. The prophetic promise of the people’s deliverance came to pass when some of the Jews began to return to Israel and the 2nd Temple was built 70 years after Judah was crushed by the Babylonians in 586 BC. It was also through Jeremiah that another stunning prophecy came to Israel. One that was incomprehensible to the Jews, particularly after the temple and the walls of Jerusalem were rebuilt and the Levitical sacrificial system reinstated in Israel. God had punished them severely for their idolatry and disobedience, but he had graciously returned them to their beloved land. Thus, they were incredulous that the Lord would even consider, let alone declare, a New Covenant to replace the Covenant of Law given through Moses. To confront their denial that such a covenant was necessary, the last prophet Malachi presented God’s reasons why something as drastically different as announced by Jeremiah (also Isaiah and Ezekiel) would be the basis for a new relationship between God and his people. “How I wish one of you would shut the Temple doors so that these worthless sacrifices could not be offered! I am not pleased with you, says the Lord of Heaven’s Armies, and I will not accept your offerings” (Malachi 1:10). Wow! That would have crushed me. At least I hope it would have (gotten my attention). Instead, the people argued with God and disputed the validity of his indictments against them. There is no indication, whatsoever, that God ever again accepted their rote, heartless offerings. In fact, until John the Baptist came to prepare the way for Messiah (Jesus), God did not speak at all to his people for another 400 years. To this day Jews are still in denial that the Covenant of the Law could be, has been (which it has), or will be replaced with a New Covenant. This despite the utter destruction of Jerusalem and the 2nd Temple in 70 AD, cessation of the sacrificial system, and dispersion of the Jews to the four corners of the earth where they would remain until the 20th century. (I would encourage you to read a trilogy of Eye of Prophecy articles, entitled: Where is the Temple? I, II, III. Posted 11-29, 12-6 & 12-13-14). Under the Mosaic Law and the Levitical Sacrificial System, sacrifices for individual sins were offered daily and for the sins of the nation, annually (Yom Kippur). But no more. Not with the New Covenant. Not only would their sins be forgiven forever, the Lord would remember them no more. Unheard of! Inconceivable! Impossible! Through what Scripture says and clearly infers, the people’s response was then and is to this very day: A better way? Maybe? Really? Not really. No way! Why would God do such a thing … to alter and actually annul the very foundation of the traditions given to us by God in the first place? Here’s why. 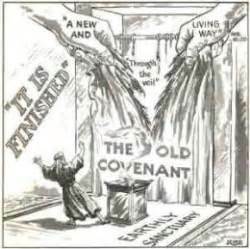 Read with me the amazing announcement of the New Covenant and the reason God would initiate this ground-breaking and life-changing agreement with his people; one that was unconditional … unlike the conditional Mosaic covenant that the people would not and could not keep. “But this is the new covenant I will make with the people of Israel on that day, says the Lord. I will put my instructions deep within them, and I will write them on their hearts. I will be their God, and they will be my people … And I will forgive their wickedness, and I will never again remember their sins” (Jeremiah 31:31-34). 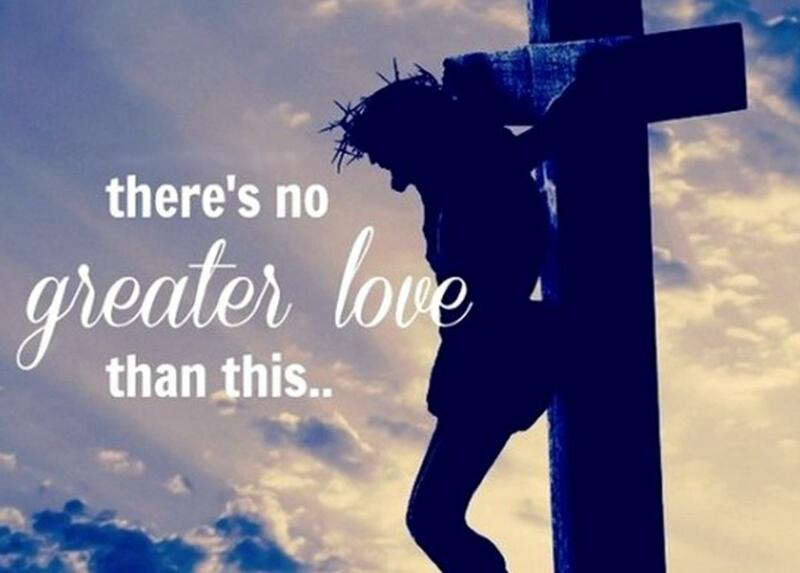 Now listen to the words of Jesus of Nazareth spoken just a short time before he was crucified on a cruel cross: “…This cup is the new covenant between God and his people—an agreement confirmed with my blood, which is poured out as a sacrifice for you” (Luke 22:20). “…confess with your mouth that Jesus is Lord and believe in your heart that God raised him from the dead, you will be saved. For it is by believing in your heart that you are made right with God, and it is by confessing with your mouth that you are saved … Jew and Gentile are the same in this respect. They have the same Lord who gives generously to all who call on him. For ‘Everyone who calls on the name of the Lord will be saved’” (Romans 10:9-13, last sentence quotes Joel 2:32). The Old Covenant had been written on tablets of stone, commandments which could not save the people because they could not and would not keep them. The New Covenant would be written on the hearts of all who believe and receive Jesus as Savior. The New Covenant of Grace does not abolish the moral foundation of the Law (represented by the Ten Commandments). Rather it sets straight the bent notion that the Law could redeem (make right with God) anyone who at least tried to keep it; or even that the sacrificed blood of innocent animals could take away their sin and guilt permanently. And, “Under the old covenant, the priest stands and ministers before the altar day after day, offering the same sacrifices again and again, which can never take away sins. But our High Priest (Jesus) offered himself to God as a single sacrifice for sins, good for all time…” (Hebrews 10:11-12, parenthesis mine). This new relationship with God requires a new (spiritual) birth, which is what generates eternal life from spiritual death (see John Chapter 3). This is what will make possible the national salvation of Israel which began with individual Jews in the first century, and with the physical restoration of Israel that began 70 years ago next month (May) when Israel was reborn as a sovereign nation. And fifty years ago this coming June when Israel reclaimed Jerusalem in the Six-Day War as the eternal capital of Israel. (If you want to learn more about the potentially stunning significance of this year, 2017, please read Eye of Prophecy article, The Omega Generation, posted 2-15-14. Also, Jubilee and Messiah … They Go Together! Posted 1-23-16). God withdrew his protection of Israel. He would leave them to their own fate until the appointed time when the Lord would unilaterally initiate the completion (fulfillment) of his covenant with Abraham. Which was the sovereign possession of the Promised Land forever by the Jews. That appointed time has come. Despite 1,900 years of exile and persecution at the hands of many nations and peoples (even by Christians … with the vast majority Christian in name only, not true born-again believers), culminating in the unimaginable Holocaust perpetrated by a perverse man and his equally sadistic Third Reich, Israel is alive and well. According to the sure word of Biblical prophecy, the Jews will never again be uprooted from their Promised Land. They will never again be decimated, dominated, or defeated by Gentile nations. I repeat with Biblical authority for emphasis: NEVER AGAIN. Persecuted, yes. Attacked, also yes—by the Gog/Magog coalition in the first half and by the ten-nation confederation of Antichrist Nero in the second half of the Great Tribulation. But not destroyed. Only those who oppose Israel will be soundly defeated and destroyed. That should be a cause for pause for peoples or nations that would seek to harm the pupil of God’s eye. Presently, there are tens of thousands of Jews all over the world who have placed their trust and eternal destiny in Messiah Jesus (called Messianic Jews), and thank the Lord for them. But it won’t be until Jesus returns near the end of the Great Tribulation that the vast majority of Jews will reach out to him and say, Baruch haba beshem Adonai (blessed is He who comes in the name of the Lord). 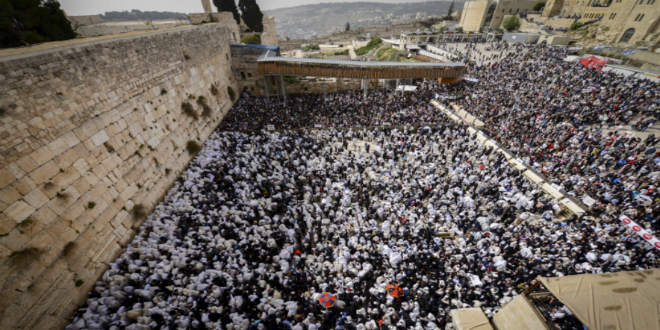 Yesterday, Christians all over the world remembered the ultimate Passover (Good Friday). 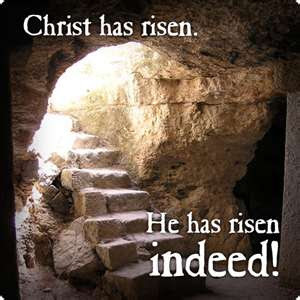 Tomorrow we will celebrate Resurrection Day. We’ll express our gratitude for so great a salvation purchased by the supreme sacrifice of our Passover Lamb, God’s own Son. We’ll rejoice that our sins are forgiven, and God will pass over (spare) us during the time of His final judgment of this earth. A judgment on those who have passively ignored or cultishly twisted the redemption that God has freely offered to them. And God’s final punishment for those who will aggressively make a final attempt (as has been done down through the ages) to disrupt, distort, despise, and defeat God’s two magnificent plans for the human race: (1) the perpetual physical possession of Israel by the descendants of Abraham. (2) The Kingdom of God on earth composed of both Jew and Gentile who have been redeemed spiritually by belief in the Jewish Messiah, Jesus. The treacherous idea of Replacement Theology is once again rearing its ugly head, sadly, even in some Evangelical circles. They are those who believe that the Jews and Israel are irrelevant to God’s plan for the fast approaching last days, because they (erroneously but also arrogantly) think that the Church, not Israel, is the beneficiary of God’s promises to Israel. There are so many Scriptural facts and principles to easily refute this fallacy; I’ll mention only one: Since when was the Church exiled to the four corners of the earth directly from Israel? Such an easy answer to this rhetorical question. Therefore, how can the Church be brought back to Israel? There is absolutely no way under God’s heaven that the Lord would simply ignore or forget or replace (with the Church) this promise that was made directly to Abraham and his descendants. Remember, we’re talking about the physical return of the Jews and the physical restoration of Israel, not about God’s 2nd plan for mankind which is the New Covenant wherein Jew and Gentile alike are spiritually one in Christ. I’m going to get a little blunt here: Frankly, these people, Christian or not, have little or no understanding of the hundreds of Old Testament prophecies concerning Israel, prophecies that have nothing whatsoever to do with the Church. In fact, it’s the true Church (body of Christ currently consisting of far more Gentiles than Jews—but that will change) that will benefit greatly from the final restoration of Israel and the ultimate salvation of the Jews. Not the other way around. If some may have taken offense at my suggestion that they are basically ignorant of Old Testament prophecy then let’s switch to the New Testament and see what they might say about the following passage. “Did God’s people stumble and fall beyond recovery! Of course not! They were disobedient, so God made salvation available to the Gentiles. But he wanted his own people to become jealous and claim it for themselves. Now if the Gentiles were enriched because the people of Israel turned down God’s offer of salvation, think how much greater a blessing the world will share when they finally accept it. I am saying all this especially for you Gentiles…” (Romans 11:11-13a). Paul goes on: “For since their rejection meant that God offered salvation to the rest of the world, their acceptance will be even more wonderful. It will be life for those who were dead! … For if the roots of the tree are holy, the branches will be, too. “But some of these branches from Abraham’s tree—some of the people of Israel—have been broken off. And you Gentiles, who were branches from a wild olive tree, have been grafted in. So now you also receive the blessing God has promised Abraham and his children, sharing in the rich nourishment from the root of God’s special olive tree. But you must not brag about being grafted in to replace the branches that were broken off. You are just a branch, not the root. “You, by nature, were a branch cut from a wild olive tree. So if God was willing to do something contrary to nature by grafting you into his cultivated tree, he will be far more eager to graft the original branches back into the tree where they belong” (Romans 11:15-21). “I want you to understand this mystery … so that you will not feel proud about yourselves. Some of the people of Israel have hard hearts, but this will last only until the full number of Gentiles comes to Christ. 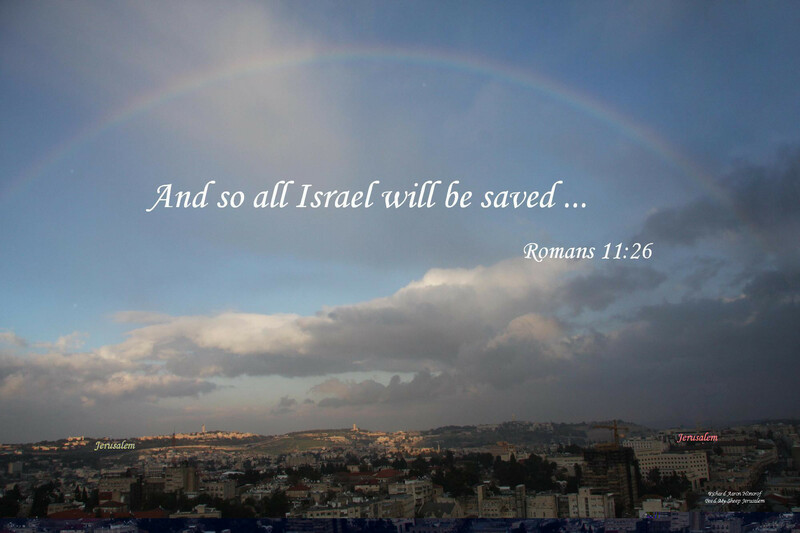 And so all Israel will be saved. As the Scriptures say, ‘The one who rescues will come from Jerusalem, and he will turn Israel away from ungodliness. And this is my covenant with them, that I will take away their sins’” (Romans 11:25-27, quoting Jeremiah 31, which as noted earlier in this article is the announcement of the New Covenant). The New Covenant of Grace has replaced the Covenant of the Law, but only that Covenant. God’s Covenant with Abraham is independent of the Mosaic Covenant. Like the unconditional Covenant of Grace, the Lord’s covenant with the Jews giving them the land of Israel forever is totally unconditional, meaning that one day it would be fulfilled no matter what the Jews did or didn’t do. “Clearly, God’s promise to give the whole earth to Abraham and his descendants was based not on his obedience to God’s law, but on a right relationship with God that comes by faith” (Romans 4:13). Paul further explains: “This is what I’m trying to say: The agreement God made with Abraham could not be canceled 430 years later when God gave the law to Moses. God would be breaking his promise. For if the inheritance could be received by keeping the law, then it would not be the result of accepting God’s promise. But God graciously gave it to Abraham as a promise. Why, then, was the law given? It was given alongside the promise to show people their sins. But the law was designed to last only until the coming of the child who was promised… (Galatians 3:17-19). When the Apostle Paul uses Abraham and God’s covenant with him as a prototype example of faith as the only means of apprehending God’s salvation (given by God’s grace), the illustration is the principle of faith—in the once for all sacrificial atonement of Messiah Jesus—versus keeping the law as the way of salvation. Paul is NOT equating or attaching the essence or object of the Abrahamic Covenant itself (which is the ultimate inheritance of the Promised Land to Abraham’s physical descendants, the Jews) to or with the benefit of becoming a spiritual descendant of Abraham by one and only one means: Faith in, “…the coming of the child who was promised…” Galatians 3:19). Do you see the difference? That is why there are hundreds of Old Testament prophecies that exclusively apply to the physical restoration of Israel, through return of Jews from all over the world to Israel. I have quoted dozens of these passages in prior Eye of Prophecy articles. It is from Jerusalem, Israel that the (our) Jewish Messiah Jesus will rule and reign forever. Whereas, the spiritual descendants of Abraham are both Jew and Gentile who, like Abraham, have been counted as righteous because of our faith in the Promised Child. 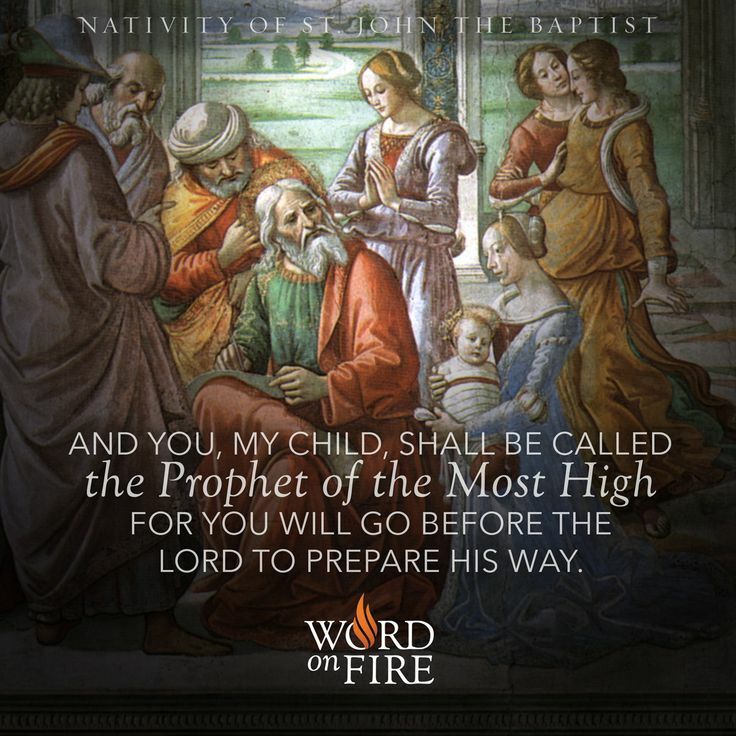 For Abraham, the first child of promise would be his son, Isaac; who would then be the progenitor of the final Child of Promise, Jesus of Nazareth. But the spiritual inheritance that both Jew and Gentile will receive when Messiah returns is not Israel itself. Rather it is the awesome privilege of being sons and daughters in the family of God, join-heirs with Messiah Jesus in the Kingdom of God on earth and in the New Jerusalem for all eternity. With the earthly Jerusalem and the land of Israel home to succeeding generations of Jews forever. Repeating for emphasis: The New Covenant of Grace replaced the Mosaic Covenant of the Law, not the Abrahamic Covenant. God’s covenant with his people through Moses was completely conditional, contingent on whether the people continued to keep that covenant. Not so with God’s unilateral covenant with Abraham. Thus, those of us who have been saved by the grace of God (both Jew and Gentile for there is only one salvation for all peoples) through simply accepting it as a free gift (God doing for us what we could not do for ourselves), have been given eternal life and will live with our Lord and the host of heaven forever. The spiritual restoration of Israel began when thousands of Jews in the first century believed and received Jesus as their Messiah and Savior, both before and after he was crucified. However, because the vast majority including the religious and political leaders who represented the nation of Israel refused to acknowledge that Jesus was Messiah, God once again abandoned them by withdrawing his protection. The result: Roman conquest of Israel and Jerusalem, destruction of the Temple, mass dispersion of the Jews throughout the world, and finally the incomprehensible evil of the Holocaust. But that is all behind God’s chosen people. 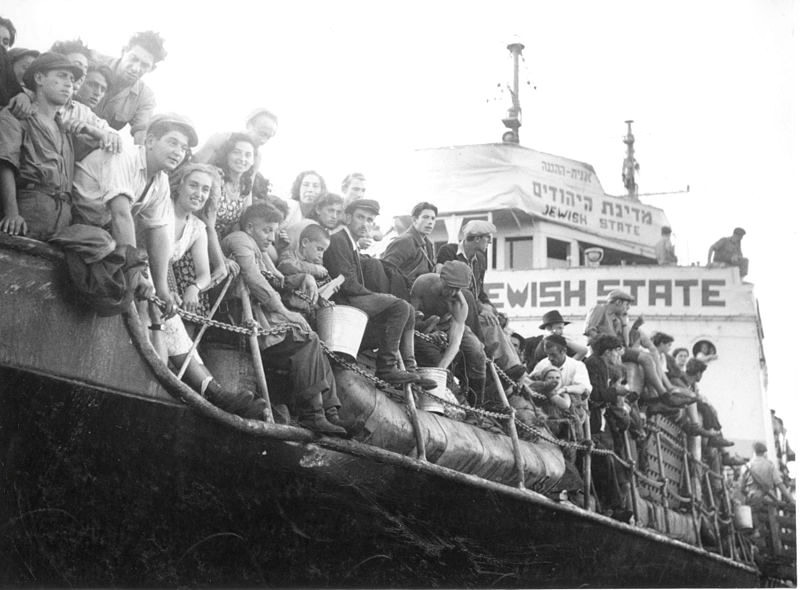 In our lifetime, many have witnessed the miraculous rebirth of Israel as a nation (1948) and the return of millions of Jews to Israel. From less than 700,000 Jews in Israel in 1948 there are nearly 6.5 million Jews (75 % of the total population of Israel) in Israel today. One day, “…the Lord will make you the head and not the tail, and you will always be on top and never at the bottom” (Deuteronomy 28:13). “Even though you are banished to the ends of the earth, the Lord your God will gather you from there and bring you back again. The Lord your God will return you to the land that belonged to your ancestors, and you will possess that land again. Then he will make you even more prosperous and numerous than your ancestors! The Lord your God will change your heart and the hearts of all your descendants, so that you will love him with all your heart and soul and so you may live!” (Deuteronomy 30:4-6). As already seen, this individual change of heart began with the New Covenant and will continue progressively until all of Israel is saved (changed forever). Israel is alive and well! God will fulfill his promise to Abraham. Not only to give the Promised Land in perpetuity to the Jews, but to also richly bless the Gentile nations from the land where Messiah himself will one day (soon) live and rule. We would do well as individuals and as a nation to support and defend Israel, both in word and deed. At least don’t harm her as do those who recklessly promote Replacement Theology. They do so by boycotting Israeli goods, supporting UN Resolutions against Israel, siding with her sworn enemies including Palestinians at the expense of Israel, falsely (with little or no real understanding of either ancient or modern history) claim that the Jews are illegally “occupying” Judea and Samaria (West Bank), and any number of other activities that are in direct contradiction of the Scriptures and history. “Tonight, on the 74th anniversary of that bleak Seder in the Ghetto, my mother, who as a young girl stood humiliated and degraded at the Auschwitz-Birkenau train platform, will get to hear her great grandchildren sing Ma Nishtana? loud and clear in the independent State of Israel. No more dark nights, but rather a bright light of redemption and victory. *Note: As I pray for the peace of Jerusalem, I also pray that many Jews like Dr. Shine will recognize that the true master of their destiny is none other than Yeshua HaMashiach (Jesus the Messiah). Against impossible odds, the Jews have returned to Israel; Hebrew has been resurrected from a dead language; Israel is once again a sovereign nation among the family of nations on this earth. This has never happened to any other people or nation. There is one and only one reason for it: The sovereignty of the one and true living God. What the Lord says he will do, he does. What he says will happen, happens. Recording and reviewing history without including the God of the Bible—a timeless book, past, present, future—is like pretending that a watch doesn’t have a watchmaker. Or that the watch was not created to measure and tell time. None of us looks constantly at our watch. We do so periodically, which is what the Bible does. It is not only the measure of universal divine truth, it is also a historical timeline of timely events integral to God’s prophetic plan. True history is His Story … the Jewish Messiah Jesus, who is the very essence of prophecy (Revelation 19:10). One day soon many more Jews, including Orthodox Rabbis, will embrace Jesus of Nazareth as their Messiah, when he returns in great glory and power to rescue Israel for the last time. First they will look on him whom they have pierced, and they will mourn. Then they will say, Baruch haba beshem Adonai. Blessed is He (Messiah Jesus) who comes in the name of the Lord (God the Father). “Though you were once despised and hated, with no one traveling through you, I will make you beautiful forever, a joy to all generations. Powerful kings and mighty nations will satisfy your every need, as though you were a child nursing at the breast of a queen. You will know at last that I, the LORD, am your Savior and your Redeemer, the Mighty One of Israel … Violence will disappear from your land; the desolation and destruction of war will end. Salvation will surround you like city walls, and praise will be on the lips of all who enter there” (Isaiah 60:15-16 & 18). Yes, Israel is alive and well. Through her nations have been blessed and these blessings will be multiplied exponentially during the Millennium and throughout all eternity. Long live her great and glorious King!